Copperloy’s high-quality, industry-leading loading dock equipment and America’s ultimate yard ramp are available in New York from dealers serving Buffalo, Rochester, Syracuse and more. 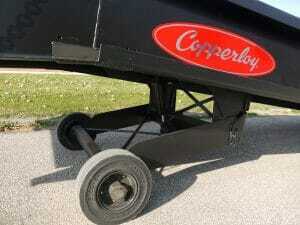 Copperloy has more than 60 years of experience producing American-made, high-quality yard ramps and equipment for a wide range of industries and applications. Our lineup of equipment includes edge-of-dock levelers, mobile ramps, dock boards, rail boards and more. Our loading dock ramps and other equipment will help you increase efficiency, workplace safety, and overall productivity and capabilities. Made with durable materials, they can easily survive New York’s winters and climate changes.